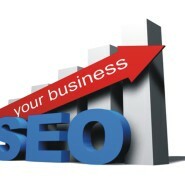 Some SEO services and marketers have had a difficult 2012 thanks to the algorithm updates on Google. And despite assurances from Google that the Hummingbird update won’t have a huge impact on recent Internet marketing strategies, one can’t help but still worry about how the tweaks in the algorithms could still have an effect on link building efforts. Your content is not going to sell itself. You’ll need to promote it. And one of the most effective ways to promote your content is through artificial link building or link marketing. This promotion strategy is often disregarded, but this link-building tactic makes your brand more well-known in your chosen niche. A great example of link marketing is guest blogging. By inviting a guest blogger who is also an authority figure to your chosen niche, your website will not only be provided with expertly created content but also earn a backlink from his website. This will then channel some of the guest author’s followers to your website. You may also consider repurposing your content into other formats, then publishing them on various user generated sites such as Youtube and Pinterest. As these sites generate heavy amounts of traffic and are getting a lot of interaction from within the site, this can also bring in significant amount of traffic and brand impressions to your site as well. You must never underestimate the power of a good headline. Your content’s headline and summary can either catch and retain the reader’s attention or leave your site or page gathering dust in cyberspace. Hence, it is important that your headline and content summary is interesting enough to catch the reader’s attention without revealing too much to let them click the link to your site.